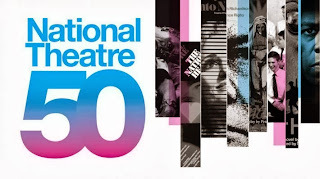 As a part of the NT50 celebrations, The Shed at the National Theatre was nicely filled to warmly welcome Imelda Staunton and husband Jim Carter to a platform performance Q&A as part of the "National Histories" series. No audience participation, rather the discussion was their responses to10 questions that the NT are posing to all participants / performers in this season. 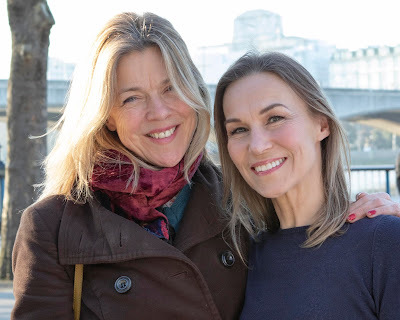 Staunton and Carter both expressed their admiration for the quality of acting that permeates a typical National company and not just amongst the star names. Whilst Anthony Hopkins' Lambert Le Roux in Howard Brenton's Pravda earned their plaudits, they were both spoke of their admiration and respect for NT stalwarts that included the likes of the late Michael Bryant and who consistently delivered excellence in supporting roles. The 45 minute chat was but a tiny peek into the recollections of a talented couple whose personal lives owe so much to the NT and who have also given so much to the NT canon of work. The National Histories series continues through October. The guest list is mouthwatering. Not to be missed!